Who takes 48 flights in 12 days? You’d have to be crazy. Or dedicated. 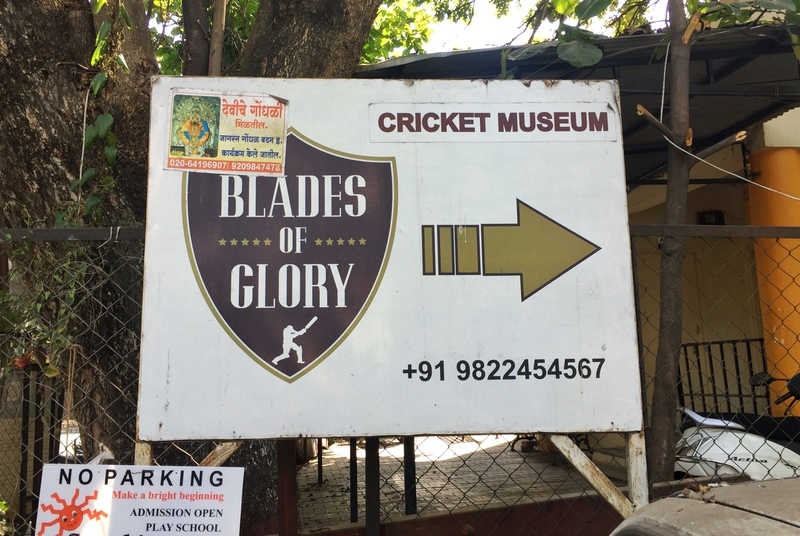 Someone dedicated (and a bit crazy) is Rohan Pate, Founder of Blades of Glory cricket museum in Pune, India. I was looking forward to visiting the museum in early 2018 and was lucky to enough to chat with Rohan after my visit. Let you know my thoughts on the museum. Rohan took 48 flights over a 12 day period during the Indian test team’s tour of Australia in 2011/12. The purpose of his trip to Australia was to add to his collection of autographs; preferably on used gear. Besides current players, he pursued former international cricketers for their signature. Getting in touch with former players isn’t easy, but Rohan was willing to do whatever it takes. Even if that means travelling 300km from Sydney at a moments notice to get one signature. His dedication has seen him collect thousands of pieces of memorabilia. 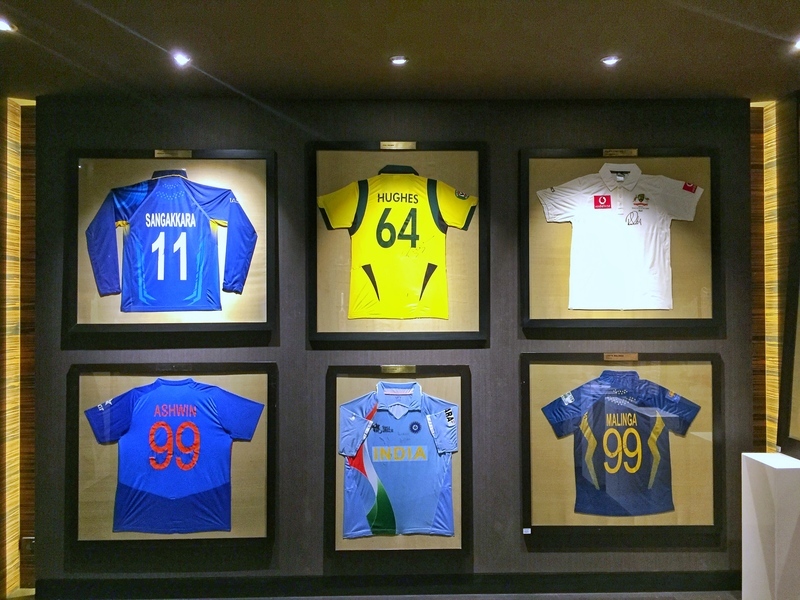 Some of which you can now see at the only cricket museum in India. You enter the museum through dark brown doors which reflect the image of the gentleman’s game, classy. On the other side of the doors I felt like I was in an old church, not wanting to speak at more than a whisper. Given cricket is dubbed a religion in India, this is a church of sorts that gave me goosebumps (the good kind). The interior wasn’t the usual chaos associated with India. The museum is tidy, organised, and uniform. A bit too dark making it hard to take great photos but it does let the memorabilia stand out. When I entered, the lone staff member took me and one other visitor to the different rooms, mentioning what each display cabinet consisted of. an audio tour to make the museum next level. In my chat with Rohan, he told me several great stories and no doubt using his connections the museum could have audio clips from both current and former cricketers. That would be an audio tour with a difference. Rather than the usual monotone dialogue, you’d get excited at hearing the different voices and the stories you haven’t heard anywhere else. 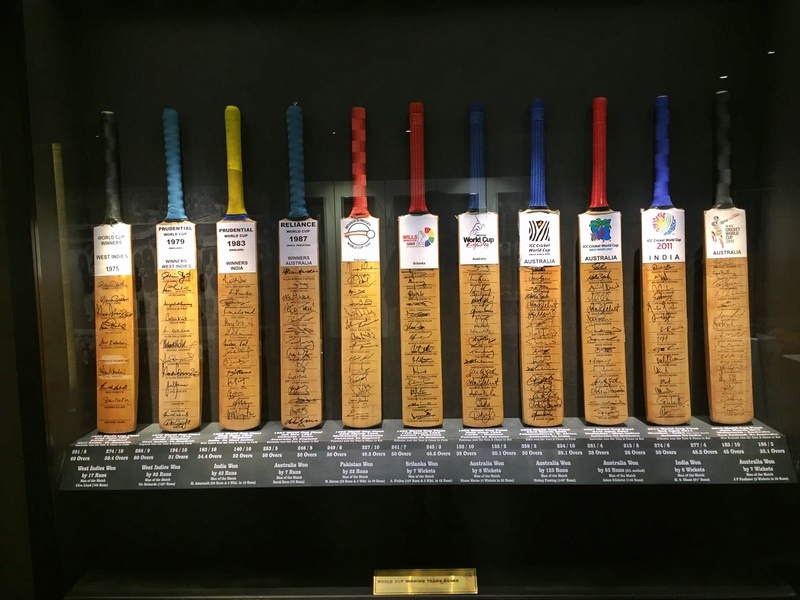 Cricket bats dominate the memorabilia (hence the name ‘Blades of Glory’) as they’re the most celebrated equipment. Batsmen have always had more glory than bowlers in the game. 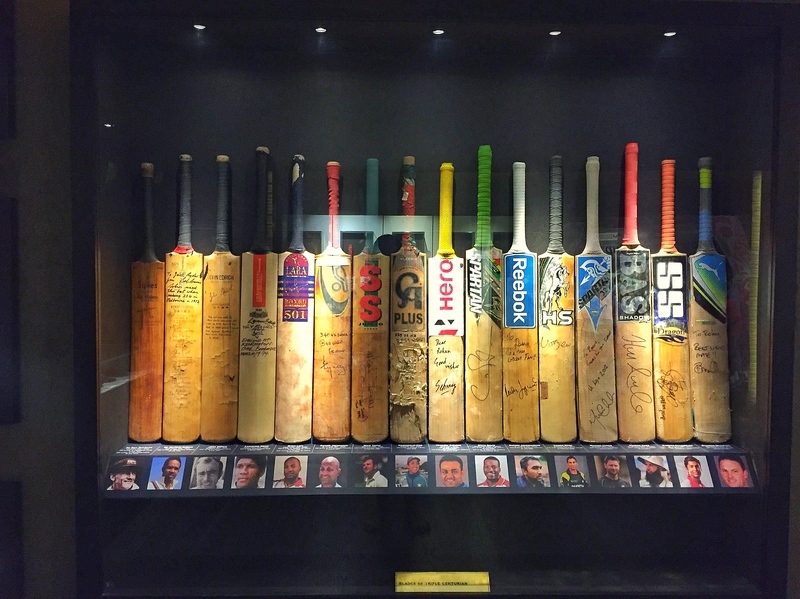 But my favorite item in the museum came about because of a question Rohan asked Brett Lee, the former Australian international bowler. At the time Brett who was visiting the museum with his IPL team the Kolkata Knightriders. “What is missing from the museum?” Rohan asked. 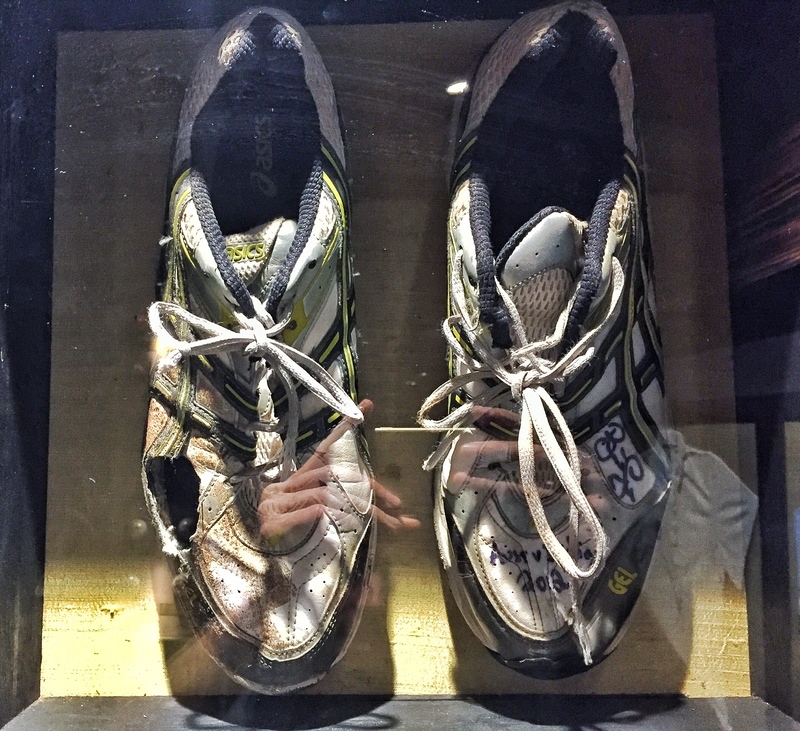 Brett Lee’s shoes from a 2012 test series. Check out the hole on the right boot! Brett Lee then donated a pair of shoes, mentioning a bowler’s shoes are an underrated piece of equipment. A shoe to a bowler is like a bat to a batsmen. These weren’t any shoes. They were from 2012 when he was bowling with a large hole in his shoe (see above). There was a time when bowlers cut a hole in their shoes to ease the pressure on their feet on the bowling stride. The hole in these shoes formed naturally,that’s insane. Another display of dedication in the realm of cricket. I was in the museum for 45 minutes. 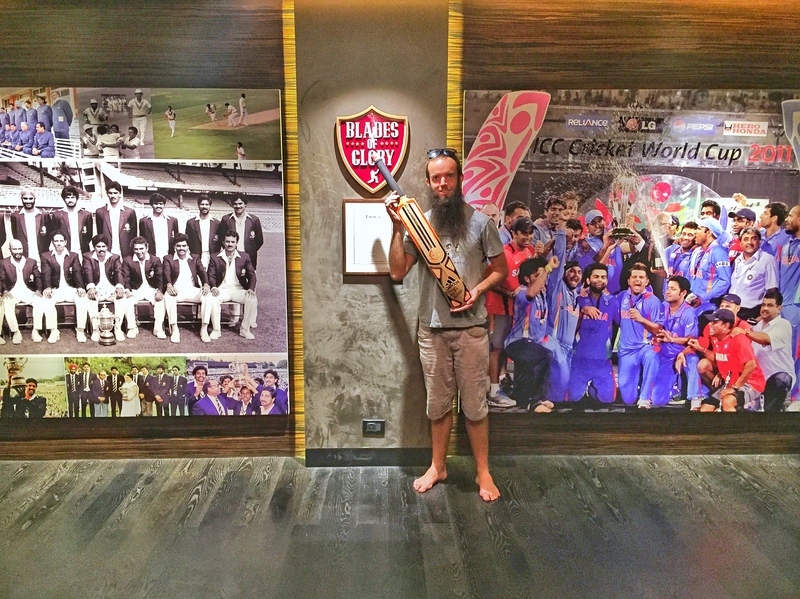 The highlight of the museum for many is the photo opportunity with a bat Sachin Tendulkar practiced with in 2011. Unfortunately, the lighting isn’t great for photography, but it’s a great idea. I asked to get a second set of photos as I was awkwardly holding the bat of one of crickets gods the first time (Rohan now has 21 bats from Sachin who adores the work Rohan has put into the museum). The museums layout is solid with space dedicated to Sachin Tendulkar and Virat Kohli. I also liked the strong international flavor as there’s a lot more to cricket than India. 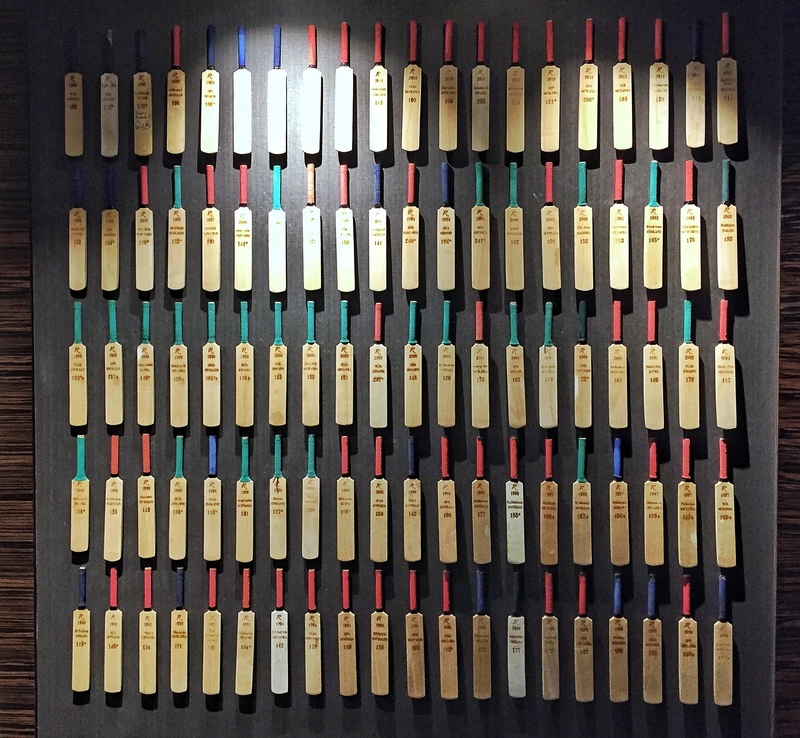 Even my fellow kiwi Brendon McCullum contributed a bat displayed alongside bats from an elite group of triple centurions. The reason Rohan created the museum was somewhat unexpected. He initially was in contact with Sachin Tendulkar about becoming a brand ambassador for his real estate company in 2010 (Amit Enterprises Housing Ltd). When Sachin gave him a bat, one thing led to another and a few years later, Blades of Glory was opened. Honestly, I was expecting a lot of the museum equipment to be collector’s items you see being sold as infomercials. Fair point. That is something I like about the people of India. They aren’t afraid of asking questions. Even if I do get annoyee when people interrupt to as a question when I’m clearly in the middle of a conversation. 100 mini cricket bats to commemorate Sachin Tendulkars 100 cricket tons. Who knows, in a few years, Blades of Glory may be the reason behind India’s next cricketing hero. I visited in mid-January 2018 and had a phone call with Rohan in mid-February 2018. 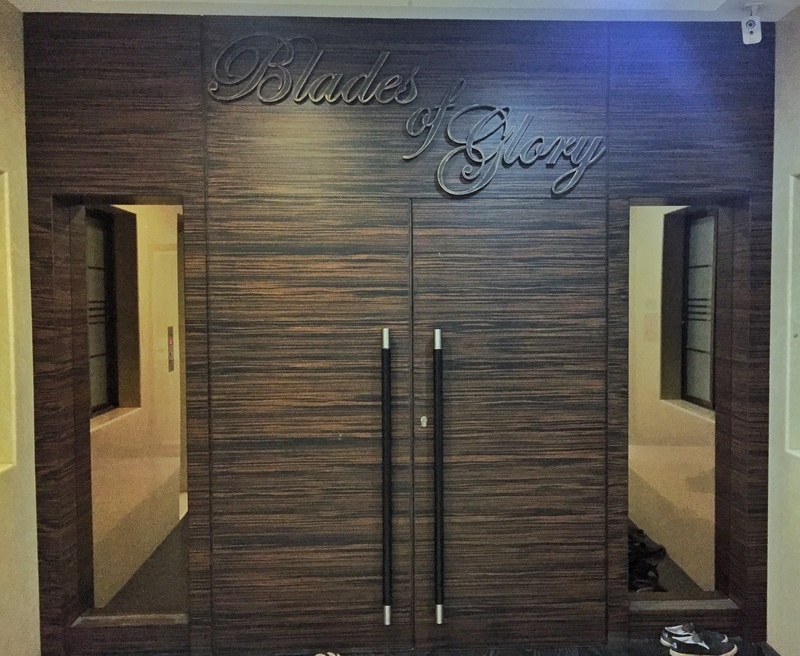 Blades Of Glory is on the outskirts of Pune city. I was staying at Backpacker Panda (awesome atmosphere) where I rented a bicycle for 100 rupee to ride to the museum. The streets of Pune are like other cities in India, chaotic, but somehow they work and I felt safe enough riding the bike in traffic. Total ride time to get there was about 50 minutes going at an easy pace. On the way back I stopped to climb to the top of Parvati Hill Steps which was a nice view. I’m not sure what public buses that will take you close by, but both Uber and Ola are available in Pune. The cricket museum isn’t where you’d find a cricket museum like Shivaji Park, but in an apartment building. You’ll see a few signs leading up to it letting you know you’re in the right place. The security man will then let you know where to catch the elevator to get to the 3rd floor. Rohan sounds like a passionate fan, and that passion manifests as a rocking museum. Taking that many flights is insane. Dedication. I have flown only twice that many times in 7 years of circling the globe.